Section #1: The Post existing under these bylaws is to be known as McMinnville Post #21, The American Legion Department of Oregon. Section #2: The objectives and purpose of The Post are as set forth in The Constitution as contained herein. Section #1: The government and management of this post are entrusted to an executive committee of thirteen (13) members, to be known as “The Executive Committee.” An executive Committee officer/member must have been a dues-paid member of Post 21, for a minimum of six (6) months prior to being elected to the committee. Section #2: The Executive Committee shall consist of the following officers of the post and members at-large elected from the floor: Post Commander, Post 1st Vice Commander, Post 2nd Vice Commander, Post Adjutant, Post Service Officer, Post Finance Officer, Post Chaplain, Post Historian, Post Judge Advocate, Post Sgt.-At-Arms, and Immediate Past Post Commander (as defined as the individual that held the Post Commander’s position on the last day of the preceding term of office), and two (2) members at-large. If the “outgoing Post Commander” is re-elected for another term, then there will be no Immediate Past Post Commander. Therefore, a third (3rd) at-large position will be elected. The term of office for officers and members of the Executive Committee shall be one (1) year. Section #3: The election of officers to the Executive Committee shall be held by ballot on the third (3rd) Wednesday of the month of May. All post business will be set-aside on the night of Executive Committee elections. Upon completion of the election, the business portion of the meeting will occur if time permits. All elected Executive Committee officers and members shall be sworn in and take office at the next scheduled general meeting held on the third (3rd) Wednesday of the month of June. A Department officer or an officer of another post who shall be a representative of the Department Commander must install all Executive Committee officers and members. Section #4: All vacancies existing on The Executive Committee from any cause other than expiration of term shall be filled by a majority vote of the remaining Executive Committee members. A quorum must be present on the Executive Committee, and a person so appointed shall hold office for the unexpired term of the committee member of whom he/she succeeds. A vacancy shall exist when an officer is absent from their position for a continuous period considered detrimental to the interests of the post by the Executive Committee. Not less than three (3) consecutive Executive Committee meetings or three (3) consecutive general meetings shall constitute a detriment to the interest of the post. Section #5: The Executive Committee, by two-thirds vote of the quorum present can, but are not required to, hire a manager and/or co-manager for the club. Section #6: The manager/co-manager are employees at will and may be terminated at any time without cause upon a majority vote of the Executive Committee. A quorum must be present. Section # 7: Wages and benefits for management staff shall be determined by a majority vote of the Executive Committee. A quorum must be present. Section #1: The Post Executive Committee shall meet monthly on the Monday prior to the general meeting each month, or any other day and time the Commander deems necessary. The Commander or any other Executive Committee officer shall also call for a special/emergency meeting upon the joint written request (to the Commander) of three (3) or more members of the Executive Committee. All Executive Committee members must be notified of this meeting. Nine (9) members of the Executive Committee shall be present to constitute a quorum. If possible, this meeting should be within 72 hours of notification. Section # 2: The Executive Committee shall approve all non-emergency expenditures in excess of $500.00 (five-hundred dollars) if said expenses are to be spent for services and materials outside of the normal daily operational functions of the post. Section # 3: Emergency expenditures for items necessary to maintain the safety, welfare and daily operations of the post must be approved by the Finance Officer and a minimum of two (2) additional Executive Committee members. This authorization must be in writing and contain the signatures of the Executive Committee members that approved the said authorization. Section #1: Duties of the Post Commander: It shall be the duty of the Post Commander to preside at all meetings of the post and to have general supervision over the business and affairs of the post. This office shall act as the Chief Executive Officer of the post. The Post Commander shall approve all others directing the disbursement of funds and shall make an annual report covering the business of the post for the year, and make recommendations for the ensuing year, which shall be read at the annual meeting and a copy thereof immediately forwarded to the Oregon Department Adjutant. The Post Commander is also responsible to maintain order at all post meetings and to see that the safety and welfare of the members and guests are preserved. The Post Commander shall perform such other administrative duties as required by the Post Executive Committee. The Post Commander shall also appoint post members to specific committees including a chairperson for such committees as long as a chairperson is not identified in the standing committees. Section #2: Duties of The Post 1st Vice Commander: The Post 1st Vice Commander shall assume and discharge the duties of the Office of Post Commander in the absence or disability of, or when called upon by the Post Commander. He/she shall be the chairperson of the Membership Committee and shall be responsible to the Post Commander for planning and promoting membership programs. Section #3: Duties of The Post 2nd Vice Commander: The Post 2nd Vice Commander shall be responsible for planning post activities for the year. He/she shall assist the Post Commander and assume and discharge the duties of the office of the Post Commander in the absence of the Post Commander and the Post 1st Vice Commander. Section #4: Duties of The Post Adjutant: The Post Adjutant shall have charge of and keep a full and correct record of all proceedings of all meetings, and keep such records as the department and national headquarters may require. Receive, process and report membership renewals and confirm membership eligibility. Produce and distribute via email or USPS monthly newsletter from input provided by post family leadership. Maintain post website with input from family and program leaders. To include website calendar of planned events, meetings and posting of post general meeting minutes. When called upon, update and/or add information required to maintain an accurate representation of the post website. Provide administrative requirements as requested or required by the commander or the club manager. Render reports of the membership annually or when called upon at a meeting and under direction of the 1st Vice Commander responsible for membership. Create, provide and/or distribute post correspondences. The Post Adjutant will receive a monthly stipend for their effort, to be determined by the Executive Committee. Section #5: Duties of The Post Finance Officer: The Post Finance Officer shall have charge of all finances and shall oversee the bookkeeper to ensure he/she performs the duties of depositing monies, paying bills, and providing balance sheets and ledgers of monthly post financial activity. Provide a 12-month historical spreadsheet tracking financial trends. As approved by the Executive Committee and general membership, shall ensure 5 percent (5%) of monthly legion “profits” are transferred to the post maintenance ledger account. Provide oversight of external funds collected and held within the post accounts for future distribution. Report to the Executive Committee monthly, or as requested, the condition of the finances of the post: Line items to include lottery, post, post maintenance & repair balances, receipts of cancer and regular bingo income, and distributions. The Post Finance Officer shall also assist the Post Commander in preparing the annual budget and shall be the chairperson of the finance committee. It is requested that each family contribute a portion of their year-end balance, (10% preferably), to the post maintenance fund annually. Since each Legion family uses the post, it is only fair that each one share in the upkeep. The scrapbook will begin with the department convention, including officers and delegates in attendance. Virtually all events, activities, functions, and presentations of the post including joint activities with Post Auxiliary, Sons of the American Legion, and Riders. Minutes of post general meetings. Correspondence provided by the adjutant between department, districts and visiting dignitaries or other posts. Newspapers and periodicals accompanied by dateline. Section #7: Duties of The Post Chaplain: The Post Chaplain shall be charged with the spiritual welfare of the post comrades and will offer divine but non-sectarian services in the event of dedications, funerals, and public functions etc., or for such ceremonial rituals as are recommended by the National or Departmental Headquarters. Section #8: Duties of the Post Sergeant-at-Arms: The Post Sergeant-at-Arms shall preserve order at all times, at all meetings or proceedings, and shall perform other duties as assigned to them by the Post Commander or the presiding officer. He/she shall be responsible for preparing the meeting room before each meeting and cleaning up the room after the meeting. Section #9: Duties of the Post Service Officer: The Post Service Officer (S.O.) shall represent the rights and benefits as granted by law and protocol that provide for the health, welfare, and well-being of veterans and their dependents. The S.O. should know how to access and utilize services available through the V.A., Legion channels, county-funded services, and other community agencies that are both public and private. The S.O. should also be knowledgeable of the benefits due to relatives and dependents of disabled and deceased veterans from the aforementioned channels and any others that may be available. These duties will require familiarity with The American Legion “Officers Guide” and a commitment to attend periodic training schools provided by the Legion. This includes the S.O. laboring for the betterment of child conditions, coordinating services and agencies in the community for the above purposes, and acting as intermediary for the needy child of a veteran. The S.O. shall also provide Service Officer reports to be delivered to the post at monthly meetings. Section #10: Duties of The Post Judge Advocate: The Post Judge Advocate shall advise the officers and members of the Executive Committee and general membership on matters concerning the Post Constitution and Bylaws. The primary duty of the Post Judge Advocate is to seek professional advice on the conduct of post business and to procure proper legal assistance when necessary. In the event of a trial of fact the Post Judge Advocate is considered the presiding officer. Section #11: Required Knowledge: It shall be the responsibility of all individuals seeking election to the Executive Committee to familiarize themselves with statutes (Federal and State) pertaining to tax exempt organizations and to know the laws pertaining to the mandatory record keeping requirements pursuant to State and Federal enforcement agencies. Section #12: Each Member of the Post Executive Committee, including the Post Commander, will have one (1) vote on matters before the Post Executive Committee and general meetings. Section #1: Delegates and alternates to the Department Convention shall be requested, nominated, and approved at the general meeting by the third (3rd) Wednesday of April. Section #2: The number of delegates and alternates will be determined by Department Headquarters. Section#3: In order to be considered a delegate or alternate, the member must be in good standing with the post. Section #4: The post shall determine a reasonable per-diem for convention delegates and alternates at a general meeting prior to the annual convention. The individuals selected as delegates and alternates must submit travel and expense receipts for money that they receive for their per-diem. Travel expenses are calculated per I.R.S. for charitable purposes at www.irs.gov. Section #5: The post shall pay all delegate and alternate fees to The American Legion Department of Oregon Headquarters in order for delegates to vote the maximum number of votes allowed, regardless of how many members physically attend the convention. Each duly-registered delegate shall be entitled to one vote. The majority of the registered delegates present from their Department shall cast the vote of any registered delegate absent and not represented by an alternate. Alternates for registered delegates shall have all the privileges of registered delegates, except that of voting. A registered delegate is one who has received their credentials after their registration fee has been paid. Section #1:The Post Commander, immediately upon taking office each year, shall appoint the following standing committees: Membership, House, Finance, Legal, Publicity, Visiting, Americanism, Child Welfare, and Activities. Membership Committee: shall have charge of all matters pertaining to the membership of the post, including the procurement of new members, reinstatement and eligibility of members. The Post 1st Vice Commander shall be the chairperson of the committee and the Adjutant shall be a member of this committee. House Committee: shall have charge of and act on all matters pertaining to the care and safety of the post quarters and shall have charge of all post property. The Commander or Executive Committee may assign tasks at any time for the benefit of the post. The House Committee is responsible for investigating the conduct of any member of the American Legion Family of Post #21 and makes recommendations to the Executive Committee, who will have the authority for final resolution of any problems referred to it. -One (1) Post #21 American Legion Rider member. A minimum total of six 6 appointments shall exclude management, employees, and volunteers working behind the bar. House committee members shall recuse themselves from any conflict of interest under investigation, personally, or by the commander. Legal Committee: shall be charged with the legal supervision of post affairs. The chairperson shall be the Post Judge Advocate. Finance Committee: shall be charged with the administration of financial policy, assist in the preparation of the annual budget, and supervise receipt, disbursement and accounting of all post funds. In addition, the Finance Committee is charged with overseeing the annual post audit and making sure that non-biased individuals conduct the audit. It is recommended that a qualified firm or individual such as a Certified Public Accountant (CPA) conduct the audit or financial review. The chairperson shall be the Post Finance Officer. Publicity Committee: shall be charged with the promotion of public support of The American Legion’s programs by the establishment of proper contacts with The American Legion Magazine, Department and National Legion news services, and through local publicity of post programs and activities. This committee elevates awareness in the veteran community, and community at-large of the Legion’s advocacy of veterans’ issues, national security, Americanism, and youth. The American Legion is defined in the public eye by the values for which it stands. Visiting Committee: shall be charged with the visitation and comfort of members and their families, when sick or bereaved, and with visiting ex-service personnel in near-by hospitals. The chairperson shall be the Post Chaplain. Americanism Committee: shall be charged with fostering a program of community service and educational growth. This Committee shall also be charged with participating in such programs as Boys State, Junior Basketball, Oratorical Contests, Sons of The American Legion, Community Service, School Awards, and any other program directed by the post or the post Executive Committee. Activities Committee: At the direction of the 2nd Vice Commander, shall coordinate post activities with each Legion family’s representative and the club manager at a monthly meeting. Meetings are held to ensure adequate planning and support for post activities. Within three (3) working days after each meeting, committee will provide minutes to the Adjutant and club manager, Commander, each Legion family leader, and Rider Director, to include the assigned point of contacts, activities, dates, times and required volunteer support. Veteran’s Day and Memorial Day events shall be included in this committee’s planning. Bylaws Committee: The Bylaws Committee will review the Constitution and the Bylaws annually and if amended, the amended copy, dated as to when amended, shall be forwarded to Department Headquarters. Nomination Committee: The Commander will appoint a Nomination Committee chairman in January of each year. The Nomination Committee chairman will appoint 2 more members (in good standing) to the Nomination Committee before the February American Legion Post 21 general meeting in February (third Wednesday). During the committee reports the Nomination Committee chairman will report to the general membership who the committee consists of as well as the procedure for nominating a member for office. The Nomination Committee chairman is also tasked with appointing “vote counters” for American Legion Post 21 officer elections in May. Section #2: The Post Commander shall appoint individuals to any other committee as deemed necessary. Section #1: All resolutions of State and National scope presented to this post by a member, or reported to this post by a committee, shall merely express the opinion of this post on the subject. A copy of any resolution shall be forwarded to the Department Headquarters for its approval before any publicity is given, or action other than mere passage by the post is taken. Section #2: The Post Commander or a simple majority of 51% of The Executive Committee shall have the power to call a special/emergency general meeting of the post at any time, provided proper notice is given to all members of the post. Proper notice is considered to be at least seven (7) days in advance of said meeting. Posting notification of said meeting in three (3) different locations within the club would be considered legal notification for the purpose of calling a special/emergency general meeting. Section #3: A minimum of four (4) executive officers and five (5) members, a total of nine (9) people present shall constitute a quorum at general meetings. Section #4: Members may be nominated for office without being present at the meeting in which nominations take place. Individuals nominated for office must acknowledge acceptance of the nomination in person at a future pre-election general meeting, or acknowledge said nomination through the Nominations Committee, Post Commander, or Post Adjutant. Preferably, if nominee is absent, a letter of acceptance to the Commander on pending nomination should be sent prior to a nomination meeting. Section #5: A “Term” is considered the time in office of the newly elected members of the Executive Committee starting at installation on the third (3rd) Wednesday in June following elections in May’s general meeting. The Term will end at the time of installation of the new Executive Committee members on the third Wednesday of June in the following year. The Term shall be one (1) year. Section #6: Executive Committee meetings are closed to the general membership. A member can submit a request to be heard at the Executive Committee meeting provided that the request is submitted in writing to the Post Adjutant or Post Commander at least seven (7) days prior to the meeting. The member will be allowed approximately five (5) minutes to address the Executive Committee, and then must leave the meeting. Section #7: General meetings are open to The American Legion Post #21 members, Sons of the American Legion Squadron #21, The American Legion Auxiliary Unit #21. Guests are permitted with approval of the Commander or presiding officer. These three (3) branches make up the Family of American Legion Post #21. 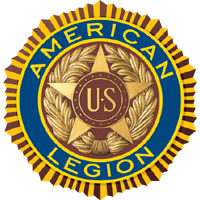 Only members of The American Legion Post #21, not Auxiliary or SAL, in good standing may vote on issues and elections of The American Legion. Section #8: Meetings where annual elections or constitution and bylaw amendments take place will be closed to all family members except The American Legion Post #21 members in good standing. Section #1: Every member shall furnish the post with an address for mailing purposes. Members may also provide the post with an email address if the member prefers it as a means of communication. Section #2: The Post Adjutant shall cause notice of the annual elections to be given at least one (1) week prior thereto. Posting said notice in three (3) different locations within the club and giving notice within the post newsletter is considered legal notification. Section #1: All proceedings of this post shall be conducted under and pursuant to Robert’s Rules of Order, except as may otherwise herein be provided. Section #2: Matters not covered within the Constitution or Bylaws of Post #21 or by Robert’s Rules of Order will be handled by majority vote of two-thirds of the Executive Committee present at the meeting as long as a quorum has been established. Section #3: The rulings of the Executive Committee are final for the entire period of the term. The only time that a vote on a previously defeated motion can be reconsidered during the same term is if two-thirds of the Executive Committee quorum elects to do so. Section #4: The Post Commander shall have the right to have a member removed from any meeting if the Commander determines that the member being removed is disruptive or has jeopardized the safety and well-being of other members or guests, or the welfare of the post. In the absence of the Post Commander, the presiding officer of the Executive Committee who is acting in the position of the Commander may also have the member removed. Section #5: The Executive Committee, by majority vote of two-thirds (2/3) of the voting quorum may suspend the social privileges of any member of The American Legion Family or any member of any organization that utilizes Post #21, for violation of house rules or for misconduct of any type as determined by The Executive Committee. This action is considered “In-House” discipline and not suspension or expulsion of the member’s American Legion membership. A quorum must be present. Section #6: Upon reasonable request, and in writing to the Post Commander, a member will have the right to review their personnel and confidential files, or documents pertaining to any disciplinary actions they are a part of. Section #7: Any individual or any member of The American Legion Family that uses Post #21 facilities will face disciplinary action by the Executive Committee if they bring into the post, as a guest, any individual that is presently under suspension at the time of entry. Section #1: Post #21 shall not incur, nor cause to be incurred, any liability nor obligation whatsoever, which shall subject any other post, subdivision, group of persons, members of The American Legion or other individuals, corporations or organizations to any liability. Section #2: The Post Commander, Post Judge Advocate or a majority of two-thirds (2/3) of the Executive Committee may seek legal opinion from a licensed Attorney-at Law, if they deem that it is in the best interest of the post to do so, and as long as the initial consultation does not exceed four-hundred dollars ($400.) The Executive Committee may approve, by majority vote of two-thirds, additional expenditures for legal services if it is deemed in the best interest of the post to do so. Section #1: These bylaws may be amended after approval of the Executive Committee and submitted to the Commander prior to a majority vote of the membership. In order for any amendment to be ratified it must receive a vote of two-thirds of the members of the post attending the next general meeting. Prior to such vote by the general membership, written notice shall have been given to all members at least twenty-one (21) days in advance in writing, noting that such proposed amendments to the bylaws are to be voted on at the next meeting. The post newsletter is considered legal notification. The newsletter may state that the changes may be mailed USPS or emailed. After such vote and upon approval, the amended document shall be sent to the Department Judge Advocate for approval. Section #1: The annual dues of this post are based on National and State directed requirements and shall be payable at any time on or after the annual Department Convention for the upcoming year. Increases or decreases to annual membership costs will be provided to each member through the newsletter or any other means available at the time of the change. Section #3: If ten (10) members present vote to not reinstate a delinquent member, that member cannot be reinstated as a member of Post #21. The individual rejected shall not again be considered until after the expiration of one (1) year from the date of rejection. Section #4: The American Legion Post # 21 will pay the annual dues for members with 50 (fifty) consecutive membership years or more. Section #1: A member may resign from Post #21, if in writing, to The Post Commander or Post Adjutant at any time. Section #1: The requirements of transferring to a post from another post are listed in The Officers Guide and shall herewith be referenced into these bylaws. Section #2: Individuals who transfer into this post from another post must submit their military discharge papers: DD 214, other discharge papers, or qualifying documents as required by the National American Legion membership guidelines. Section #1: Executive Committee officers must comply with Statutes of Local, State and Federal agencies. Section #2: Executive Committee officers have an ethical relationship of trust and duty to the entire membership of Post #21. A violation of this trust and duty of any Executive Committee member may result in the removal from the position held by a two-thirds vote of the remaining committee members present. A quorum must be present. The violating member cannot cast a vote regarding their removal from office. Approved through review on this date: March 21, 2018.